Wine is a software that allows us to run windows applications on Unix and Linux based system. 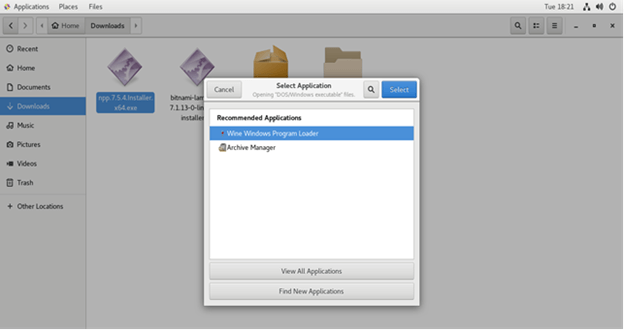 It also contains winlib where developer can compile windows application. It was designed and developed by Alexandre Julliard and first released on 1993. 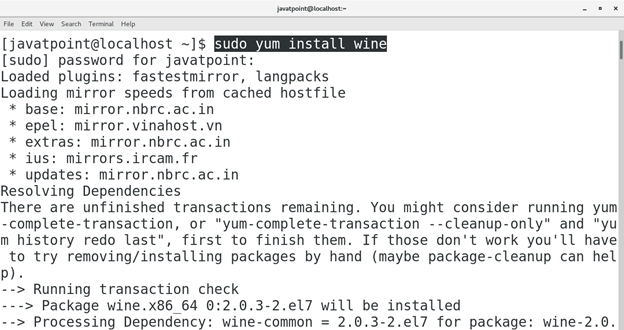 In this tutorial, we will install Wine on Ubuntu on CentOS 7. Yum must be configured on the system. Installation includes the following steps. 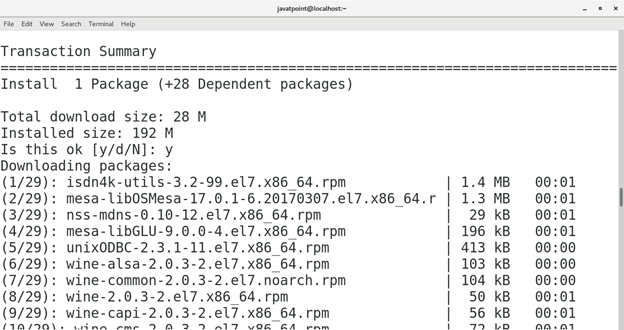 Installing Wine on CentOS 7 is really very easy. It just needs a simple command to be executed. The command is given below. Just type wine on the terminal to run Wine. In order to run wine properly, it needs two installations to be done on the startup. Just perform the installations. We can also open wine by searching for it in the applications. Hence, we have installed and get started with Wine. 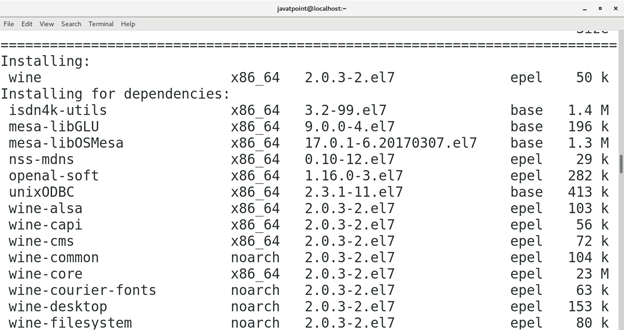 Now we can install the windows compatible software such as Notepad++ on CentOS.